There's certainly plenty to see and do within Johannesburg and its surrounding districts, so you will definitely need to travel around to some extent. 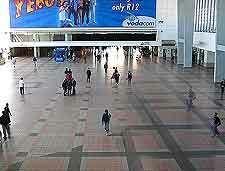 Most tourist attractions around Johannesburg can usually be visited using public transport or taxis. However, if you plan to travel extensively outside of Johannesburg, or head off the beaten track, then it may be worth hiring a car, rather than simply relying on bus transport. Car rental allows a certain independence and freedom, without the need for time constraints caused by timetables. 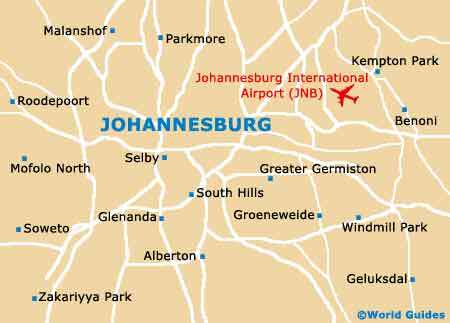 OR Tambo International Airport, formerly known as Johannesburg International Airport, is situated around 22 km / 14 miles from the city centre. A state-of-the-art domestic terminal was opened in 2003 and the airport is now ranked as the busiest airport on the African continent. 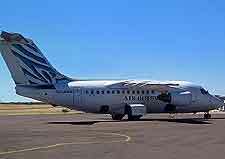 Airport shuttle bus transport operates between the airport and the city. An alternative is to take a taxi, although this can be rather pricey. It's worth checking with your hotel, as many offer a pick-up service from the airport. Car rental agencies can be found at the airport terminals. Most of the major car rental agencies operate from offices in Johannesburg and its airport. Visitors shouldn't find it too hard to navigate around the city and its many districts. 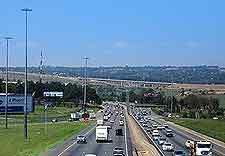 The network of roads is relatively good, including the N1, the N3 and the N12. Visitors should note that credit cards cannot be used for buying petrol. Instead, Garage Cards can be purchased or payment can be made in cash. Book your Johannesburg Car Rental here. Scheduled local buses operate on over 100 routes throughout Johannesburg's city centre and suburban districts. The majority of buses arrive at and depart from the bus terminus on Gandhi Square. If you're planning to travel frequently on local bus transport, then it may be best to purchase a book of tickets. This usually works out to be cheaper than buying single tickets. Domestic and international bus services run from Park Station. Operators include Greyhound, City to City, Intercape and SA Services. Alternatively, the Baz Bus is a popular hop-on hop-off service aimed especially at backpackers. This service operates within Johannesburg as well as in other South African towns and cities, and tickets should be bought in advance. A suburban train service known as Metrorail operates between the city centre and the many suburban districts. There are frequent reports of thefts on these services, so visitors are advised to take particular care. 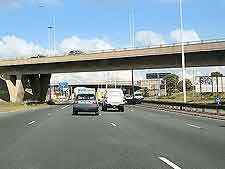 Johannesburg's taxis are probably the quickest and most convenient way to travel around the city. Minibus taxis are widely used by local workers, but should be used with caution by visitors as some have a poor safety record. The safest bet is to take a metered taxi. These have to be ordered by telephone, rather than hailed in the street. They are recognizable by the plastic yellow sign displayed on the car's roof.